George Kingsley (1826-1892) never attained the popularity of his novelist brothers Charles and Henry, but he was a respected physician and intrepid traveller. During his travels in North America in the 1870s, he met Buffalo Bill and attempted to join General Custer at Little Bighorn. He spent his later years in Cambridge, England. 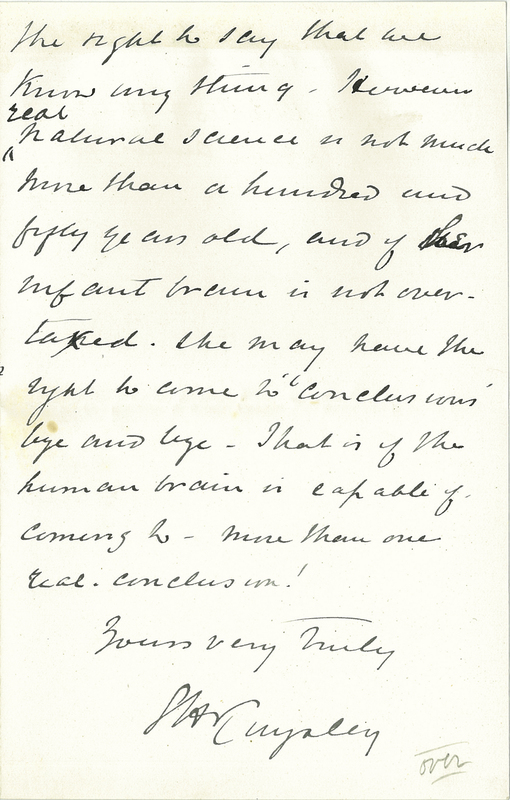 In this letter, probably written to the philologist Walter William Skeat, Kingsley expresses his excitement at seeing a kiwi and an echidna in Cambridge – though he mistakenly imagines them as antipodean cousins. George Henry Kingsley, “Letter to Mr [Walter William] Skeat,” ourheritage.ac.nz | OUR Heritage, accessed April 26, 2019, http://ourheritage.ac.nz/items/show/10208.